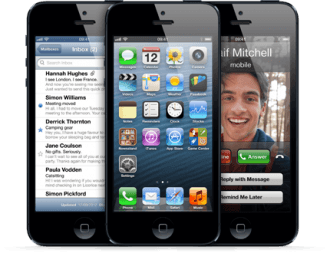 Earlier this week several news outlets reported that iOS 6 adoption jumped 29 percent following the debut of the Google Maps app in the App Store. The latest data from advertising firm Chitika, however, suggests that only part of that statement might have been accurate. Based on data from December 11 through December 17, Chitika says that iOS 6 impressions remained flat. The company even went back and revisited data from when iOS 6 first launched to gauge adoption trends and verify their findings. If that’s true, how could two different firms report such vastly different statistics? That answer all comes down to which areas each company gathers data from. MoPub, responsible for producing data that led many to assume Google Maps was the reason iOS 6 statistics skyrocketed, collects data worldwide. Chitika, on the other hand, only gathers tracking data from Canada and the US. That difference is significant in this instance due to the fact that Apple released the iPhone 5 in China and reportedly sold 2 million handsets over the opening weekend. If that weren’t enough, TechCrunch points out that Cupertino launched iOS devices in 33 additional countries last week as well. Considering these new markets, which just happened to coincide with the Google Maps app release date, it’s easy to see how the situation may have been misconstrued. Either way, it’s good news for Apple although it wouldn’t be out of the question for Google to feel as though someone rained on their parade today. We’ll have to wait for the search giant to release adoption numbers (if they do at all) to get a solid feel of the impact of the Google Maps app.